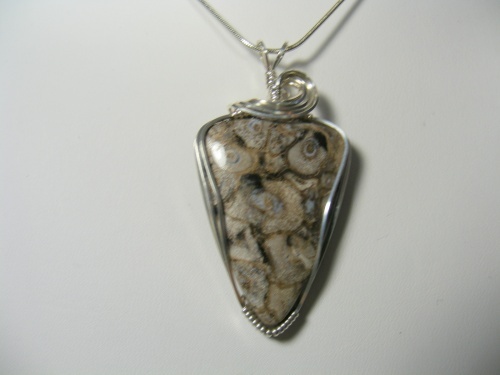 This unusual and beautiful palm root gemstone pendant has natural colors that will match any outfit. Sculpted in sterling silver curls this is a one of a kind pieces. Comes with a sterling silver snake chain.